We’re kicking off 2015 with soft and pillowy marshmallows. 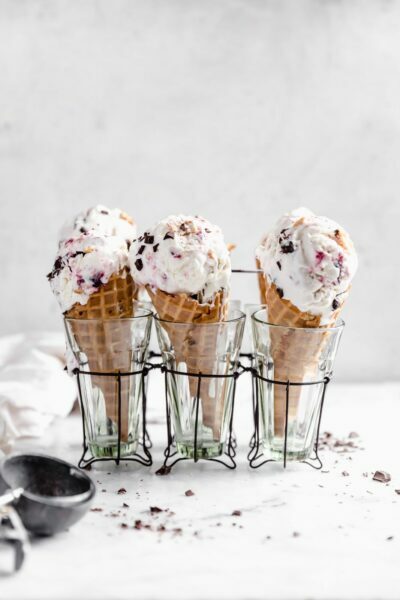 Jazz up this childhood favorite with three types of ginger and dark chocolate! Happy New Year, everyone! As you’ve probably noticed, things have been a little quiet around here. But now that the holidays are over, Broma is back in full swing and ready to start 2015 off right. How, you ask? 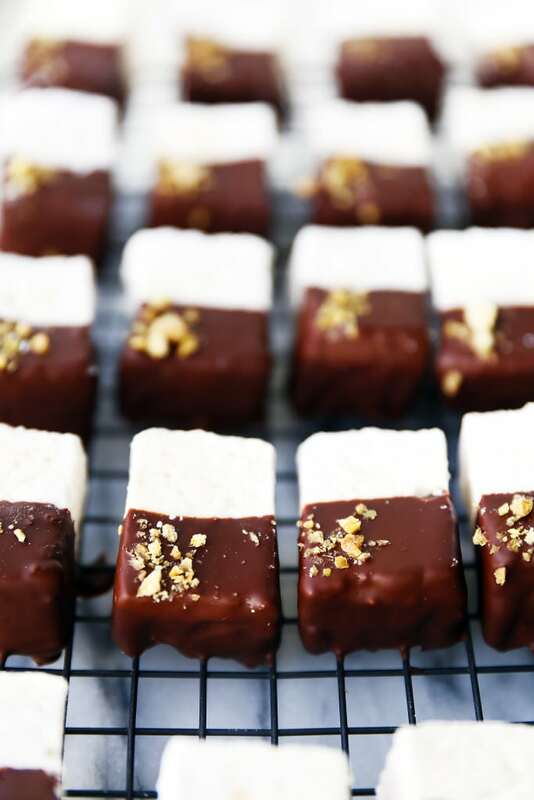 With these adorable and delicious homemade chocolate ginger marshmallows! Before getting into the details of these pillowy clouds, I’d like to reflect on this past year. 2014 was a remarkable year for me. I immersed myself in yoga and got in the best shape of my life thus far. I survived the Snowpocalypse and regular -20°F weather. I moved from a small and dingy hole-in-the-wall attic apartment to a loft with exposed brick and, most importantly, a dishwasher. I traveled with my sister to Spain and Italy where we ate the most amazing food of our lives meal after meal. I began taking better care of myself emotionally by listening to what I needed, what I was feeling, and what was truly important to me. I got to experience yet another 365 days with my best friend and boyfriend. I held an incredible job that taught me how to better multi-task, organize, direct, and operate a catering and event business. I then quit that job in pursuit of my passions and my happiness. 2014 was subsequently a remarkable year in the life of Broma Bakery. It was the year that it went from being my hobby to being my full-time profession. It was the year that made me believe that I can do this as a career, or at least die with a sugar high trying. I bought a new camera. I bought a new lens. I taught myself photoshop (or the basics, anyways). I began writing my own recipes. I upgraded my website. I upgraded my head shots. I got written up in a magazine. I got sent some awesome products. And I began connecting with some truly amazing bloggers. And above all this, I realized that there is nothing more rewarding than pursuing what you love, and being able to share it with those you love. Do I think I will be blogging in 10 years? I’m not sure. Do I have any idea what else I could be doing? I mean, I could guess a few things. But rather than worrying about the future or trying to figure out my next step, this year has taught me to take a deep breath and know that everything will be OK.
I’m the happiest I’ve been in a while. I still have a lot to work on; my life has more than a few kinks that need to be worked out. But for perhaps the first time in my life, I am excited to wake up in the morning and do what I do. And I’m grateful for being able to share it with Alex. And to be able to send pictures to my sister Rebe for her thoughts. And to receive email responses from my mom every time a recipe gets sent out. And to get such positive feedback from all of you. It all keeps me going, pushes me to try harder, and motivates me to continue. A big thank you to 2014 for being such an amazing year in so many ways. A big thank you to all of you for supporting me. I hope this next year continue with more blessings, opportunities, and occasions to learn and grow. They’re delicious. Easy. Soft and puffy. Spiced just right. Dunked in chocolate because we all love chocolate. Topped with more candied ginger for that extra zing. And in the spirit of the new year, a teensy bit healthy(-er than other… recipes?…). Happy start of 2015, loves. May this year be to you enlightening, comforting, successful, and full of joy. Line a 9″x9″ baking pan with saran wrap. Sprinkle liberally with powdered sugar. Set aside. In a standing mixer with a whisk attachment, pour 1/2 cup water and gelatin into bowl. Mix and allow for gelatin to “bloom” for at least 5 minutes. Combine sugar, corn syrup, salt, powdered and fresh gingers, and remaining 1/2 cup water in a medium saucepan. Attach a candy thermometer to the side of the bowl. Heat over medium heat, stirring with a heat-safe spatula. Once the sugar is dissolved, increase the heat and boil without stirring until the mixture reaches 240°F, about 8 minutes. Immediately remove from heat. Turn the standing mixer to low speed and slowly pour the sugar mixture into the bowl with the gelatin mixture. Once added, increase speed to high and whip for approximately 15 minutes, until the mixture becomes very thick and stiff. Add the vanilla extract in the last minute of whipping. Pour mixture into prepared baking pan, smoothing the top with a spatula. Knock the pan on a counter to release any air bubbles from within the mixture. Sprinkle top with powdered sugar and allow to cool at room temperature for at least 4 hours. Once cooled, remove the marshmallow block from the pan. Toss together the 1/4 cup of powdered sugar and corn starch and spread out in a shallow bowl. Cut the marshmallow block into 1.5″x1″ rectangles. Toss each rectangle into the powdered sugar mixture to coat. Set on a cookie rack. Melt the chocolate in a microwave-safe bowl in 30 second increments, stirring in between each time. Dip each marshmallow half-way into the melted chocolate, shake to remove excess chocolate, and set back on the cookie rack. Allow to cool for ~3 minutes before sprinkling with candied ginger pieces. Allow for chocolate to harden completely before serving. Happy New Year! May 2015 be filled with more awesome and lots of marshmallows! You had such a fantastic year last year! I so need to check out your magazine write up. And I sooo want to start yoga!!! And you are off to an amazing year with these. Pinned. Oh you HAVE to start yoga. I couldn’t stand it for the longest time, but found an incredible hot yoga studio that does a ton of cardio– it’s not your average yoga class. I highly recommend finding a similar one! If you lived closer I’d totally take you to class with me! It sounds like 2014 was a great year for you! Wishing you loads more success in 2015! 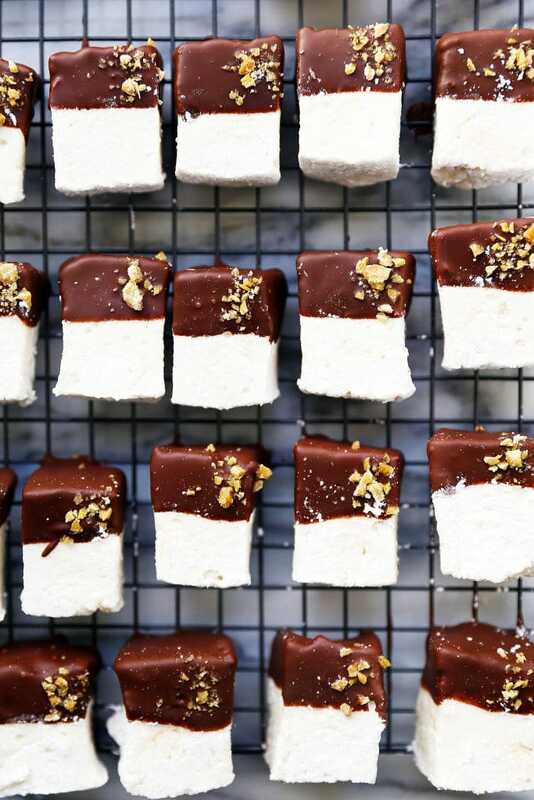 These marshmallows are to die for and the perfect way to start the year. Thank you, Jen! Wishing you the best in the next year as well! Happy New Year! I love homemade marshmallows but somehow mine never last long enough to reach the chocolate dipping stage. 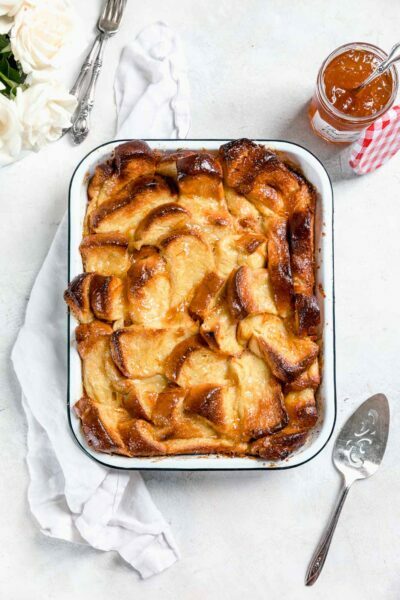 I definitely need to try this recipe! Happy New Year Sarah! All the best in 2015! Ooooh, what a great idea! One of my goals for 2015 is to start looking into selling things. Thanks for the push! Thanks, Jess! Chocolate and ginger is one of my fave combos. Glad you like it, too! Man, these marshmallows are to die for! Love the flavour combination. I really need to make homemade marshmallows ASAP! It was my first time making them, and it definitely won’t be the last! Sounds like you had an amazing year, Sarah! I’m so glad that I found your blog. I wish you continued success in 2015! And these marshmallows, oh man! They look delish! I love the ginger flavor, so creative! Thank you, Aubrie 🙂 And I yours! How fantastic! These marshmallows look fabulous! And what a year! Thank you Annie! May you have a wonderful 2015. Looks like you had a great year Sarah! I hope 2015 is even better! 🙂 The marshmallows look fantastic…I can’t stop looking at them! Thank you for the good wishes, Manali! Wish I could share some with you! I have always always wanted to make homemade marshmallows! These look perfect! I am definitely going to try these. I have to say that having discovered your blog at the end of 2014, I would have never guessed you accomplished all that so recently – just in the last year! You have such a professional and clean look about your site – something to aspire to. Congratulations on how far you’ve come and good luck in the next year. I’m sure it will be great! Thank you so much, Carolyn! That’s so nice of you to say, and I sincerely appreciate it. Happy New Year to you, and can’t wait to see what you come up with in 2015! These look soo good, Sarah! I am so glad to hear that you are much happier now that you’re doing what you love, and I can’t wait to see where things go from here! I am sure you are going to have an awesome 2015!! Thank you, Karishma! I hope you do, too. Looking forward to meeting this week! What a great year end wrap up, Sarah. It’s so nice to see all the great accomplishments that happened to you over the year. Here’s to an even better 2015! Oh, and those marshmallows – they’re making me woozy they look so good! OoOOoo I love a good homemade marshmallow! You had me at ginger!!! I recently made marshmallows for the very first time and I was amazed at how easy and fun it was. I vowed to make them again and again. The chocolate dip and GINGER is a fantastic idea. Thank you so much. Pinning! Thanks for pinning, Denise! Let me know what you think & happy baking! I’m so encouraged about your yoga immersion! What an inspiration you are! I’ve always exercised, but have done yoga, eh, once?! BUT, I’ve just ordered a few DVDs from Amazon… a new goal this year is to start doing some yoga. I realize the benefit, just need to jump in! So excited about the success of Broma, Sara! Here’s to another great year and working on those kinks! xo Happy New Year! Congratulations on an awesome year full of self-discoveries…a beautiful blog for us all to enjoy…and this beautiful post which sums it all up! Happy 2015, Sarah!! Thank you so much, Annie! I so appreciate the support. Thank YOU! Happy New Year to you! I hope that 2015 brings you happiness! These marshmallows are a great way to start! Thank ou Pamela! Hope it is a wonderful year for you, too. I’ve just found you in 2015 but I love hearing of all the accomplishments you’ve made this pass year. Blogging can be a lot of work but so much fun it’s worth it all! Congrats!